If you've been shopping for a used Chevrolet Impala but haven't been able to find the one that ticks off all your boxes, head on over to Jim Norton Chevrolet in Broken Arrow, OK. Browse our huge inventory of used Impalas and you're certain to find the one that'll look perfect in your Tulsa, Wagoner County or Tulsa County driveway. Our courteous sales team is ready to negotiate an amazing deal on a used Chevy Impala for you right now, so stop hesitating and step into our showroom! You'll find an array of the most-desired standard features in every late-model used Chevrolet Impala, including a 4-cylinder or V6 engine, automatic transmission, power driver's seat, daytime running lights, 10 airbags, anti-lock brakes, remote keyless entry, air conditioning, power windows, power door locks, automatic headlamps, and an AM/FM/CD/MP3 stereo system. Many late-model used Impalas are equipped with leather seats, Bluetooth, and navigation as well. Enjoy true confidence in your used Chevrolet Impala by considering an Impala from our Certified Pre-Owned (CPO) program. To qualify, a used Impala must be from the 2009 model year or later, and read less than 75,000 odometer miles. It then has to pass a vehement 172-point inspection which is administered by Chevrolet trained techs, and must be accompanied by a CARFAX vehicle history report verifying no damage or title issues. 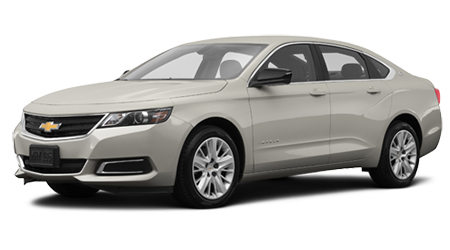 You can't go wrong with a CPO Impala because it must meet stringent criteria before its resold by Jim Norton Chevrolet. And not only is a Certified Pre-Owned Impala factory reconditioned, its backed by amazing warranties and benefits. You'll get a 3-day/150-mile satisfaction guarantee, a 12-month/12,000-mile bumper-to-bumper warranty, 5-year/100,000-mile powertrain limited warranty, and Chevrolet's incomparable 2-year/24,000-mile free scheduled maintenance plan with no out of pocket costs to you! Plus, every CPO Impala equipped with satellite radio and Onstar will enjoy the 3-month trial subscription to SiriusXM and Onstar Directions and Connections. You'll know your financing options for your used Impala before you even enter our showroom just by filling out our quick, safe financing application on the Jim Norton Chevrolet website. We're proud of our Finance experts who are committed to helping all our customers, even those with bad credit, obtain an auto loan that suits their budget. You'll find the used Chevrolet Impala that's got your name on it at Jim Norton Chevrolet in Broken Arrow, OK, serving Tulsa, Tulsa County, and Wagoner County. The sooner you step into our showroom, the sooner we can offer you a great deal on this gorgeous used car!